It looks like Facebook is getting yet another fancy facelift. And no, it’s not in the form of a shiny-new feature or a doodad that serves a questionable function. 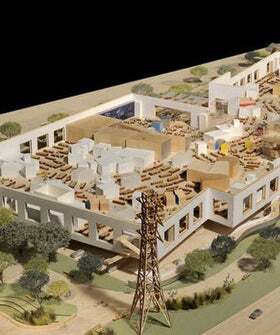 The sprawling Menlo Park-based tech company hired lauded architect Frank Gehry (whose merits include the Walt Disney Concert Hall and Hotel Marqués de Riscal in Elciego, Spain) to design a new campus addition.